Think a lip liner is unnecessary? Think again! This makeup tool instantly transforms your lips, amping up your lip game to a whole new level. It’s a must-have if you want more definition and if you’d like your favorite lipstick to stay on all day without bleeding or feathering. We’ve rounded up the best drugstore lip liners to help you play up your pout in a bold and gorgeous way. You don’t have to shell out a ton of cash – these are all under $10! Slim, trim, but never prim! NYX’s lip pencils come in a variety of dashing shades – from auburn to orange to traffic-stopping red. The buttery long-wearing lip liner formula goes on easy and resists bleeding. It is available in 50 shades. Creamy yet matte texture that works well for normal to dry lips. Easy application without the need for tugging or pulling. Does not give your lips a cakey appearance. If you have very dry lips, this may highlight the dryness and flakiness. The NYX Slim Lip pencil comes in a simple wooden pencil packaging with a cap. It is fragrance-free and has no taste, which is a plus. This pencil has a creamy formula that settles into a matte finish. It does a great job of concealing and camouflaging minor lip flaws, particularly when you want to go for a sheer lip color. 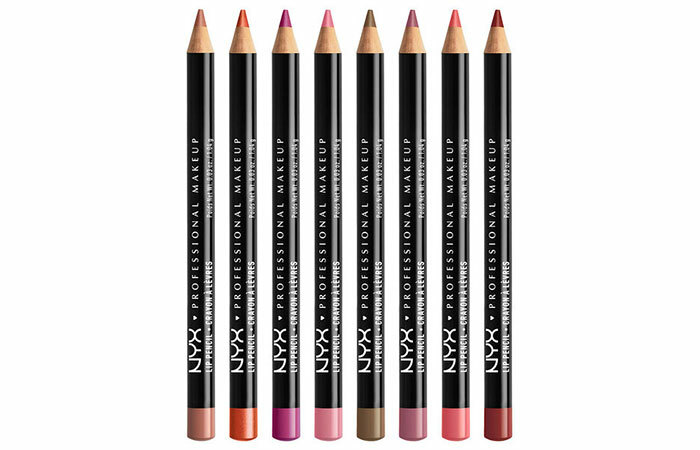 Sold in a wide range of 50 shades, the NYX lip liner is a top-notch yet budget-friendly option for your lips. 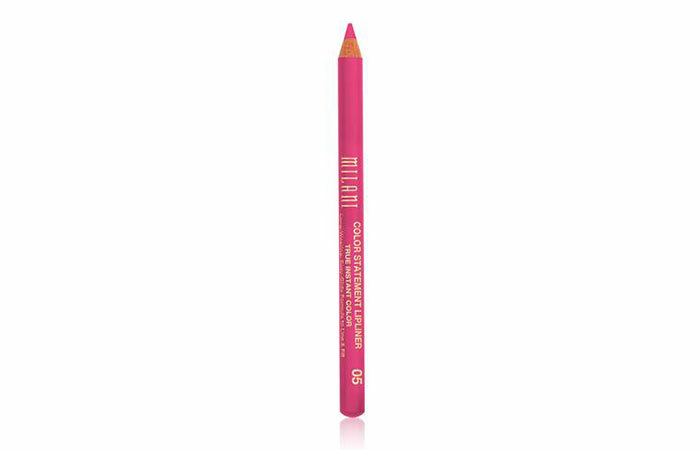 Milani’s Color Statement Lip Liner delivers statement-making color and seamless application with every stroke. You can define, shape, and fill in lips with ease. The lip liner’s luxe, matte finish creates the perfect canvas for color, and every richly pigmented shade matches beautifully with all skin tones. It’s available in eight shades. It’s difficult to properly sharpen this pencil, which results in wastage. This lip liner range has a total of 8 colors available, and the color of the pencil denotes the shade. These are sleek and handy and come with a golden cap. One major drawback concerning its packaging is that this pencil refuses to become pointed despite sharpening. You end up wasting a lot of it in the process. Moving on to its consistency, it’s nice and creamy and is easy to work with. It glides smoothly on your lips without any pulling or tugging. It does not dry out your lips too much and feels very light on the lips. For $5, you ought to try these! The Rimmel Lasting Finish 1000 Kisses Lip Liner gives you eight hours of long-lasting, transfer resistant color. Its rich, vibrant colors blend without bleeding. Comfortable wear up to 8 hours. Available in 12 shades. Does not budge or bleed. Accentuates lines after a few hours of application. This liner comes in a wooden pencil packaging with a plastic cap to shield the product. The color of the pencil denotes its shade. It needs to be sharpened before application, and this tends to cause wastage. 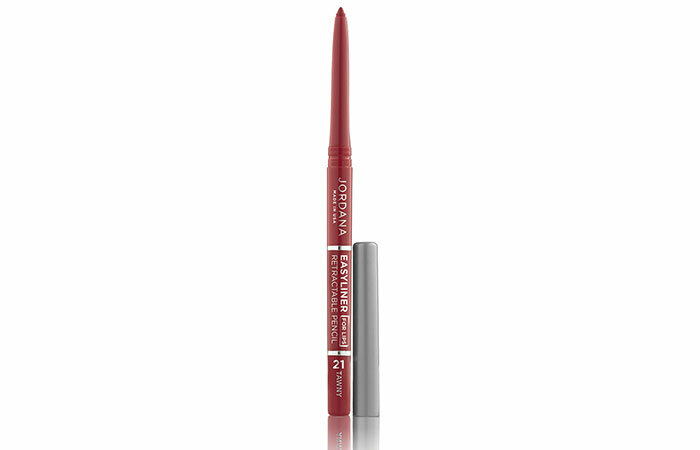 Its color is intense, and you can get a full-fledged lip color with this liner alone. It has a thick consistency, and goes opaque in one swipe. The staying power is great, and it has a range of 12 colors that you can choose from. 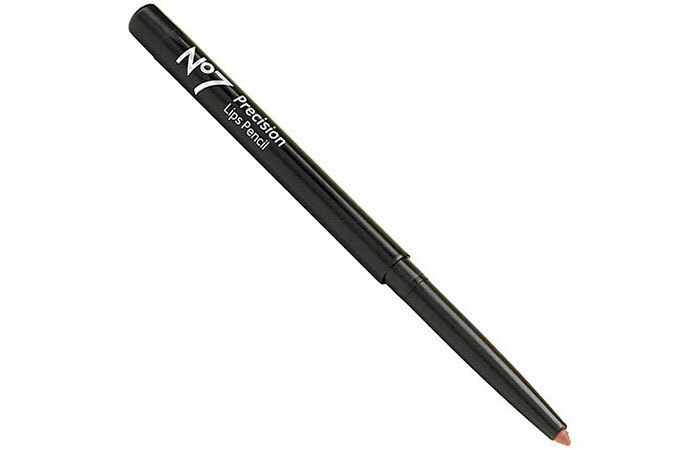 Boots No7 Precision Lip Pencil is a soft and smooth moisturizing pencil for the ultimate lip definition. A sharpener is included to help maintain a perfect point. This is also hypo-allergenic. Available in 7 shades. Won’t dry out your lips. Comes along with a sharpener. Since its consistency is slightly creamier than the other lip liners, it tends to smudge rather easily. Restricted set of colors to choose from. 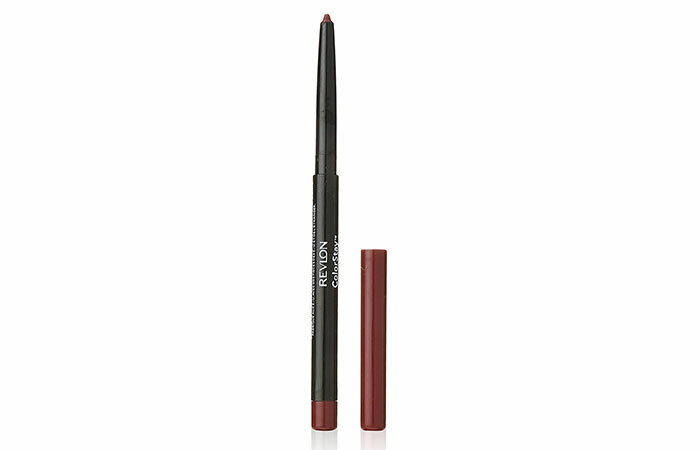 This lip liner comes in a twist-up tube with an in-built sharpener. Its formula is creamy, and it glides onto the lips effortlessly, leaving an opaque, matte finish. It gives you extreme precision, and outlining your lips with its tip is a breeze. The staying power isn’t all that great, and the color fades after eating or drinking, which is an issue. This comes in 7 shades, and one can easily find a color that suits the skin tone even with its limited shade range. Give this a try if you’re looking for precise application! 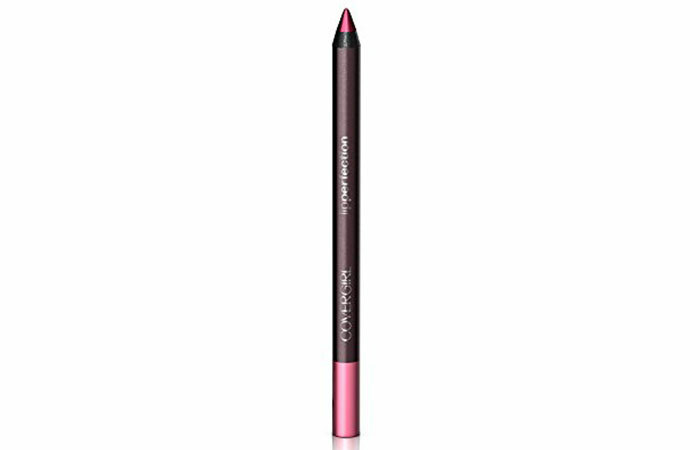 Color Sensational Shaping Lip Liner creates a totally defined lip look that helps your lipstick stay put for the most impactful lips. Available in 14 super-saturated shades. Creates smooth and defined lips. Transfers when used as a filler. This pencil comes in a simple wooden packaging with a transparent cap, and it needs to be sharpened every now and again. It has a smooth texture and glides on your lips without having to tug or pull. A single swipe gives you a great color payoff. It can be used as a lip filler by itself or as a base under your gloss. The staying power is decent with an average of 4-5 hours, and it fades evenly. That said, it does increase the longevity of your lipstick and keeps it from bleeding into fine lines. Are you ready for this gel-ly? Tell your lips to get in line for pout perfection. A lip liner like no other, made with a special polymer formula. It seamlessly guides onto lips and provides color that can go on for days. Wear alone or under lipstick for color that won’t budge ever! Available in 6 shades. Increases the longevity of your lipstick. Can’t sharpen so once you use this liner a few times, it’s hard to get a precise line. 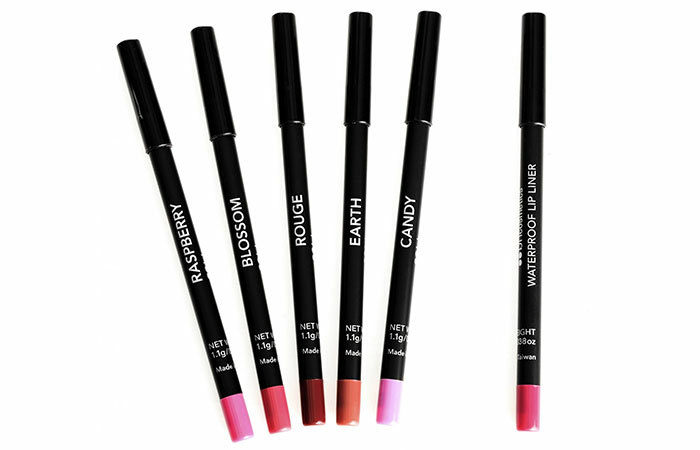 The Wet N’ Wild lip liner comes in a black twist-up packaging. The cap displays the color of the liner, which is a useful feature. It has a smooth, creamy, and almost gel-like texture. It’s highly pigmented, and one swipe is all it takes to achieve a pigmented finish. The staying power is decent, and it stays put for a good 5-6 hours. For a $2 lip liner, this one is an excellent value for money, and we highly recommend you to try these. Line and define your lips for all-day smudge-resistant and waterproof wear with our intensely pigmented waterproof lip liners. Containing jojoba seed oil and vitamin E, this smooth formula easily glides on and shapes lips for sheer to maximum definition. Now available in 21 shades. This lip liner by BH Cosmetics looks classy and expensive. It’s black with a colored band on the top end, and this makes it easy when you’re looking for it in your makeup bag. Like it claims, this liner is waterproof and smudge proof. But all that said, it makes my lips a little dry. However, a lip balm before this would fix the issue. The staying power is impressive, and it lasts until you remove it with an oil-based makeup remover. Perfectly defines. Anti-feathering. Rich color. 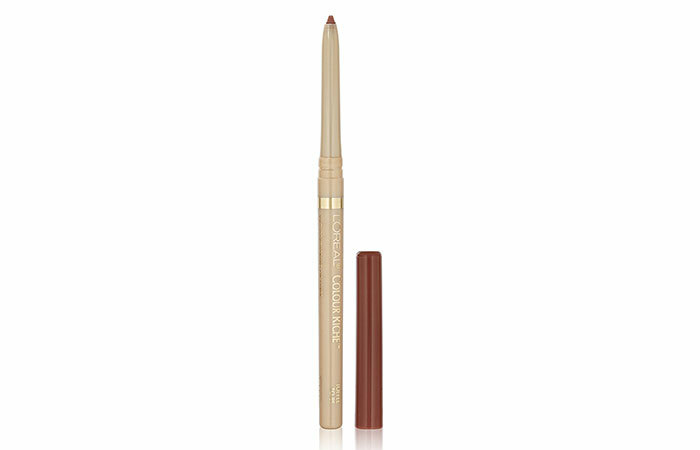 The L’oreal Paris Color Riche Lip Liners create definition and coordinate perfectly with your lip color. Available in 12 shades. Price is slightly higher when compared to some more affordable and efficient drugstore lip liners. This gorgeous lip liner comes in a retractable pen packaging, and the color of its cap coordinates with the shade of the liner. In terms of packaging, this one’s super convenient and hassle-free. It has a creamy texture that settles into a matte finish, and can be used as a lip liner as well as a filler. It does not bleed or transfer when applied and smells heavenly. You also have a dozen shades to choose from. But for the price, its staying power is quite average. Transform your lip look with a moisture-rich definition. Created to work perfectly with CoverGirl Lip Perfection Lip Color, this lip liner formula contains over 60% skin conditioners, so you can line and define with moisturizing rich color. Available in 8 shades. Creamy texture and matte finish. Can be used as a lip liner and a lip filler. Can be slightly drying; so, if you have extremely dry lips, you must wear a lip balm underneath it. 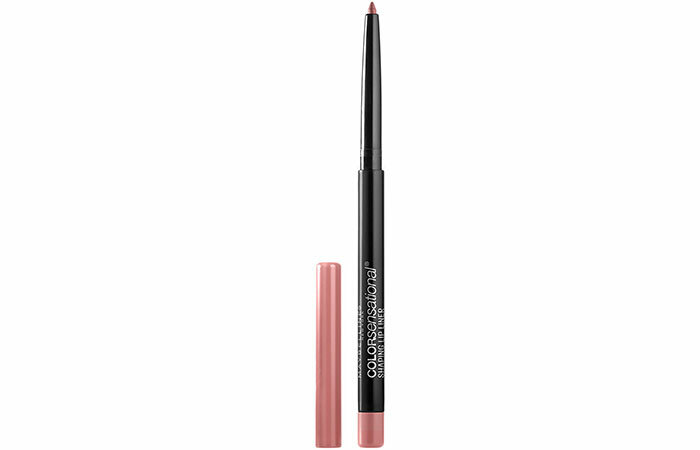 The CoverGirl Lip Perfection Lip Liner is super pigmented. One stroke is all you need to keep your lips looking defined all day long. It stays on for 7-8 hours without fading and helps your lipstick stay longer without budging. That said, it actually is a little tricky to get off. 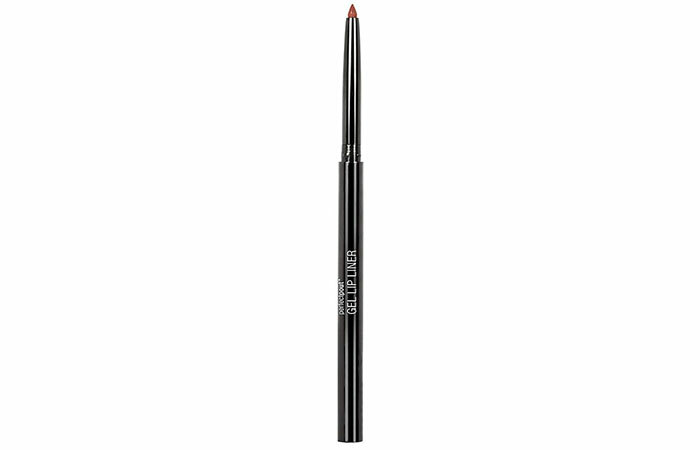 This lip liner is extraordinary for a drugstore product and does a brilliant job! Revlon Colorstay Lipliner provides long-wearing definition, helps lip color last longer, and prevents feathering and bleeding. Available in 14 shades. Some of the shades in the range aren’t true to their color. This lip liner is packed in a retractable pencil case. The base and the cap of the pencil represent the shade of the color, and it also has a built-in sharpener at the end of the pencil, which is convenient. It has a fine, smooth texture and it’s very pigmented. It stays on your lips for 6-7 hours which is very impressive. It’s not super moisturizing so if you have really dry lips, applying a lip balm under it would suffice. If you’re looking for something long staying and pigmented, your search ends here. Create defined and enhanced lips that are blended to perfection! The smooth gliding pencil applies color precisely and accurately with no sharpening needed. The soft Taklon bristled brush helps in blending the color evenly and naturally for a beautiful bitten lip look. This comes in 10 different shades. Decent color selection to choose from. The brush provided is soft and does a good job. The names of the shades are very misleading, so you must try it out before purchasing or you will end up with a different shade. This liner comes with dual ends – one end has the actual product, and the other end has a tiny brush to blend out the liner. 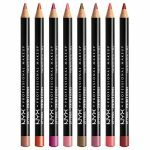 Its formula is creamy and applies evenly without tugging and gives you a good color payoff. The brush is on-point and serves the purpose of a lip brush. Although you don’t really need a brush for a lip liner, this is just an add-on. It’s staying power is quite impressive, and it does increase the longevity of your lipstick. For a $3 product, this is worth a try. Essence Lip Liner glides on smoothly and precisely to ensure perfect lip contours and endless hours of lipstick fun. The wooden lip liner is ideal for smudge-proof and long-lasting lip makeup. Available in 6 defining shades. Enhances the staying power of your lipstick. Its tip tends to break with little pressure, which results in wastage. This lip liner comes in a retractable pencil. The packaging is sturdy and hassle-free with no need of sharpening the pencil. It’s completely fragrance-free and free of shimmer. We were impressed by its pigmentation and its matte finish. It feels smooth on the lips and glides easily on exfoliated lips. It stays put for 6-7 hours and can survive light meals. This one’s a total catch for less than $2! 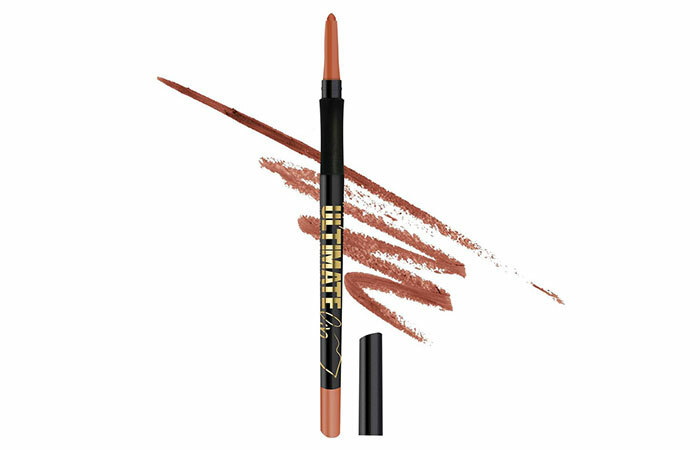 This lip liner can be used to line the lips as well as to fill them in. The packaging looks classy – it comes in a black retractable pencil with a colored end that denotes the shade of the liner. It’s easy to use and glides smoothly on the lips without any tugging or pulling. The shades are pigmented and stay on the lips for 6-7 hours without budging. It defines the lips well and makes your lipstick stay longer. Soft and smooth waterproof lip liner with a swivel-up application that retracts and never needs sharpening. The rounded point applies color smoothly and evenly without pulling or tugging the lip area. Flawless, rich, and true color payoff that is long lasting. Available in 12 shades. Its consistency isn’t very creamy. 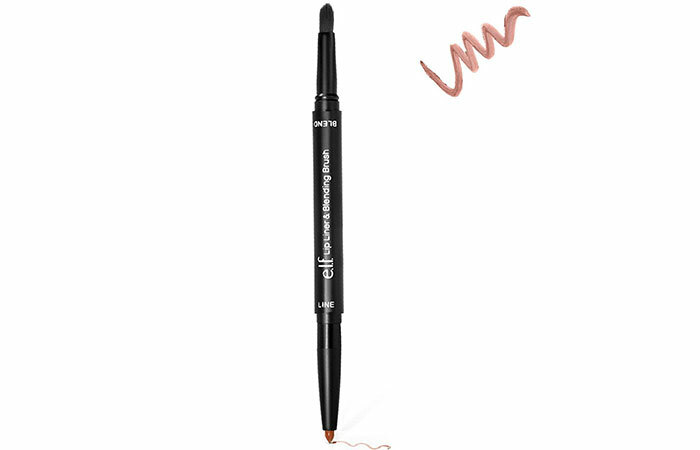 This is an automatic, long-lasting lip liner with an easy, twist-up mechanism. The color of the liner denotes the shade, which makes it easy to spot in your makeup arsenal. It’s quite pigmented and glides on easily and smoothly on your lips. The consistency of this liner is a little dry, so you need to prep your lips well before going for this product. It does not transfer and looks great even if you just fill-in your lips with this and top it up with a gloss. Score an A+ with this full-color lip liner that is available in every shade of fabulous from nudes to berries! Easyliner for lips is the perfect prep-step for a polished lip look. Outline your lips before adding lipstick, or use alone as a semi-matte lip color – just fill in your entire lip area, and that’s it! Available in 10 shades. Soft and smooth texture that glides easily. Increases wear time of your lipstick. Can settle into fine lines if used on its own as a lipstick. This affordable lip liner comes in 10 gorgeous shades and can be worn alone or paired with lipstick. A favorite among beauty gurus on YouTube, this lip liner is one of the ‘it’ drugstore lip liners that is available for just $2.99! It has a smooth texture, and it’s easy to apply. It’s lightweight and feels good on the lips. It has a mild fragrance that can get annoying, especially if you strongly prefer fragrance-free makeup. However, the smell fades away after some time. Due to its creamy texture, this lip liner is prone to breakage, so you must be careful while applying. It’s best to apply a lip balm underneath this lip liner if you’re using it as a lip filler because it tends to settle into fine lines. Overall, the pros outweigh the cons and this one sure is a must-try! While purchasing your lip liner, it’s best to choose a shade that matches your lipstick or lip gloss to avoid having the lip liner change the color of your lipstick, and also for it to seamlessly blend in, while accentuating the shape of your lips. Those were our picks of the best drugstore lip liners under $10! Do you regularly wear a lip liner? What’s your favorite? Share with us in the comments! 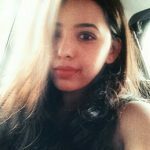 All You Need To Know About Maybelline Baby Lips Lip Balm Before Going To Buy It!